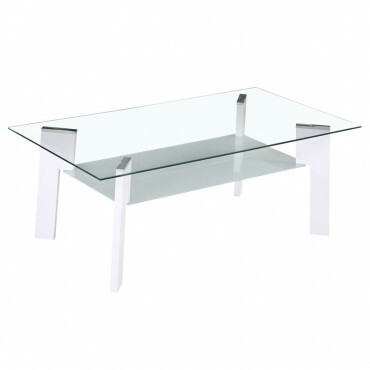 Modern and pracitcal coffee table in white colour with high gloss. It is made of MDF material, thickness 25 mm. 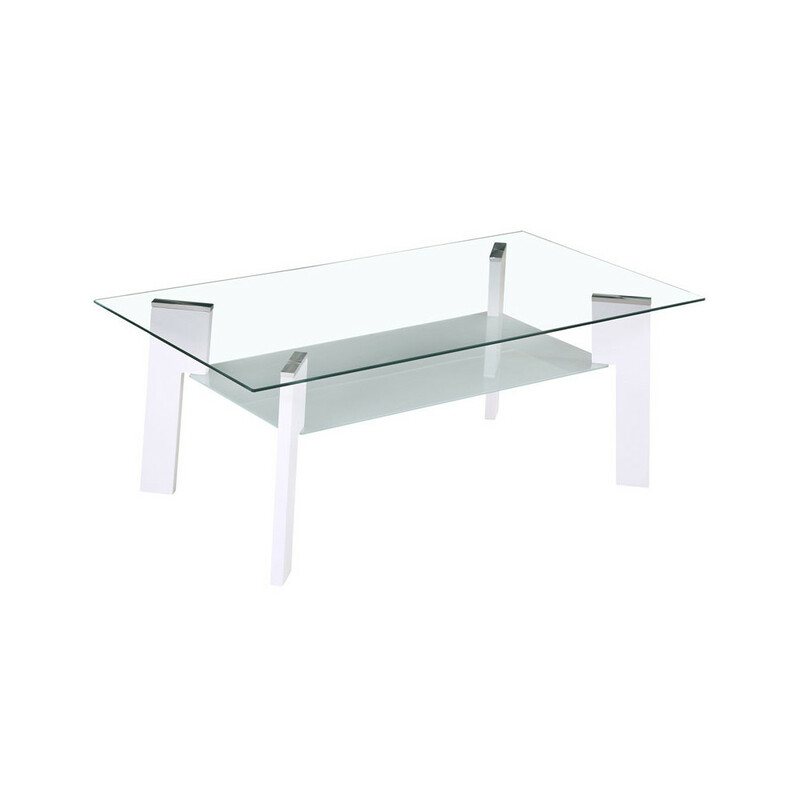 The table top is made of clear tempered glass, thickness 6 mm. The shelf is made of frosted tempered glass, thickness 6 mm.